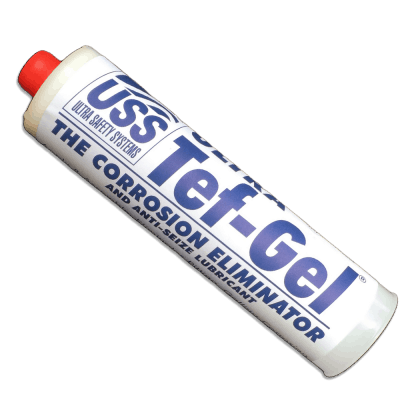 ULTRA Tef-Gel –12 oz Tube – Stops Salt Water corrosion on all metals, works in fresh water too. Waterproof: Replaces petroleum greases that wash away. Replaces Silicone to lubricate.